THE principal of Loreto Grammar has commended a group of students, who last year saw themselves at the top of the NI League Tables at GCSE level. Grainne O’Hanlon has attributed the fantastic feat to each student’s faith in God and faith in themselves, which she says is the ‘core of the Loreto philosophy of education’. Mrs O’Hanlon also pointed out that the Board of Governors and staff in all areas of the school collectively do their very best to support students in all areas throughout their school career. 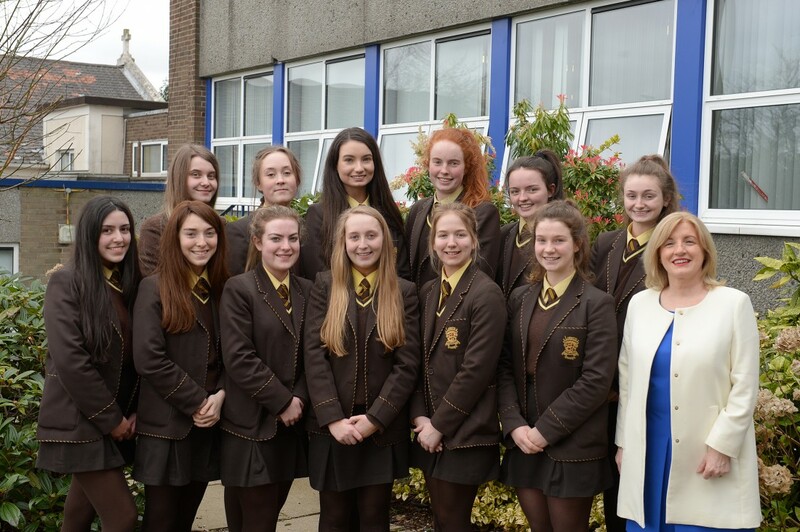 “To see Loreto Grammar School at the top of the NI League tables at GCSE is a very proud moment for everyone associated with the school, in particular the hardworking Year 12 girls from last year and their passionate teachers,” the principal said. “Our young people want their qualifications, and need them. We steer them through the hurdles. As well as praising the students, the principal further thanked the Loreto Trustees, the Board of Governors, staff, students, parents and community groups who unreservedly share their talents, skills and knowledge and bring a great richness to the Loreto Omagh experience.